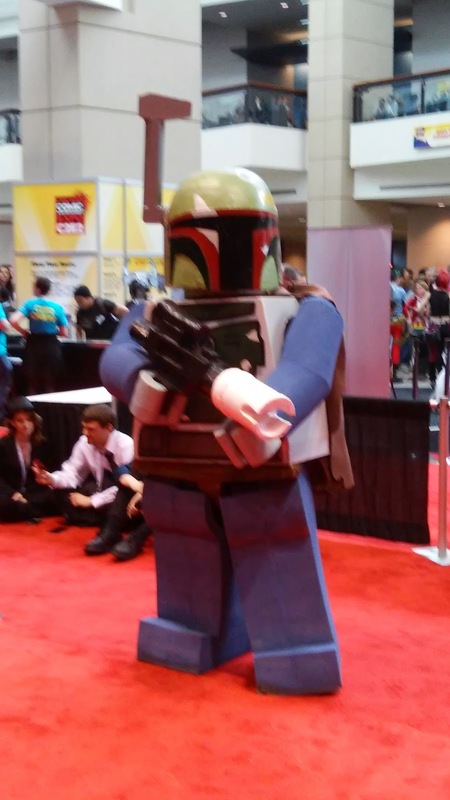 As promised, here are some photos from this year's C2E2. 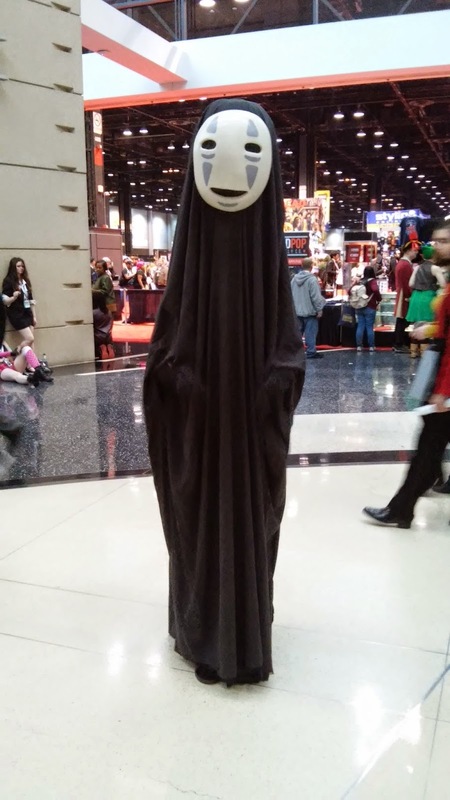 This year's C2E2 has an odd feel to it. The event is in a different space which feels empty, there are fewer vendors (perhaps the fee for tables has increased), and not as many "elite" cosplayers walking about on the floor as most are likely cloistered away getting ready for the Crown Championships of Cosplay (a great Groot cosplayer won the big prize on Saturday night). 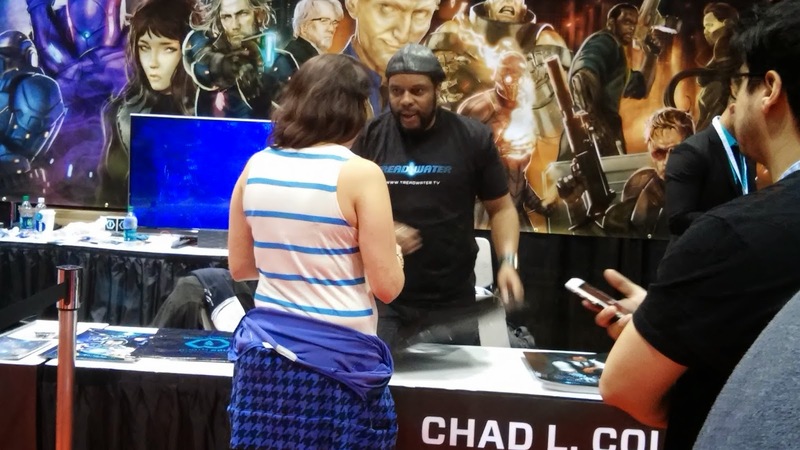 I also have some thoughts on the panels I attended and C2E2's increased focus on "diversity". My opinions may surprise some folks. I may share them early next week. There are some highlights--I attended Max Brooks' panel and briefly chatted with him about his Harlem Hellfighters project and how it was featured on The Chauncey DeVega Show. Of course, there were some really great costumes to be seen. I love the minions from Despicable Me. 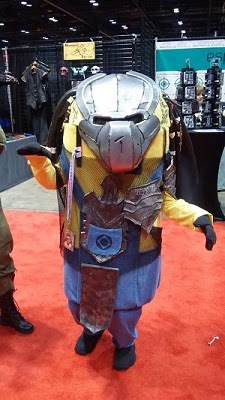 I especially love minions who embrace their inner hunter as the Predator. Muppets! Did I say Muppets! 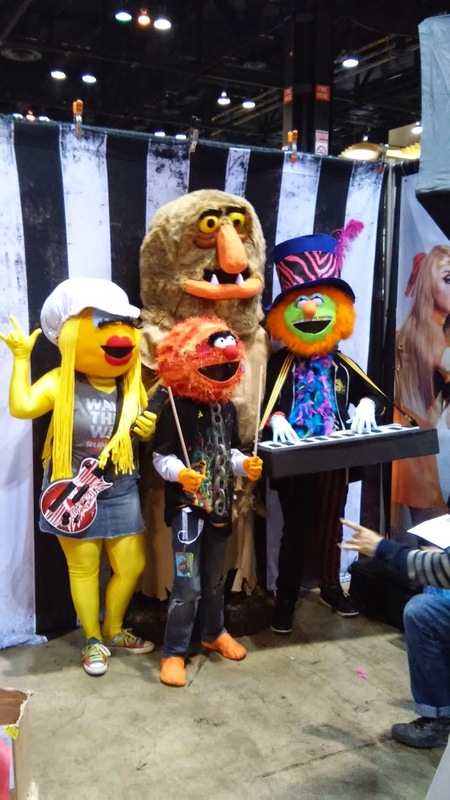 Did I say Dr. Teeth and the Electric Mayhem? 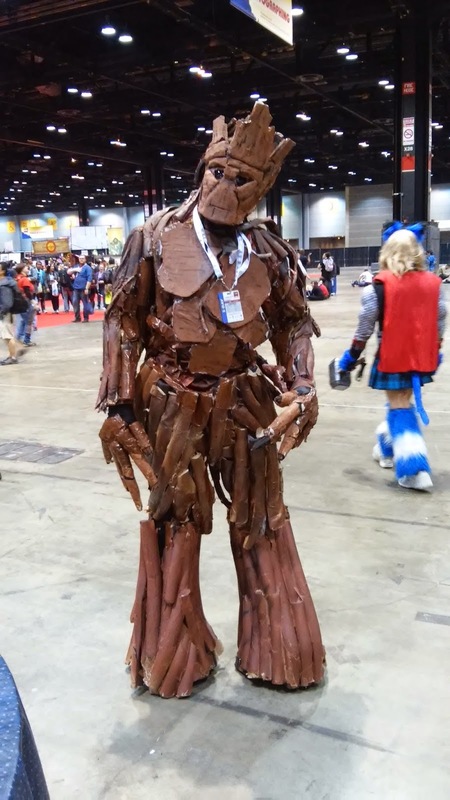 I got to shake the hand of the great professional wrestler Mr. Booker T.
In my opinion, the smartest, sharpest, and most politically incisive costume at C2E2 is the Fox "News" zombie. 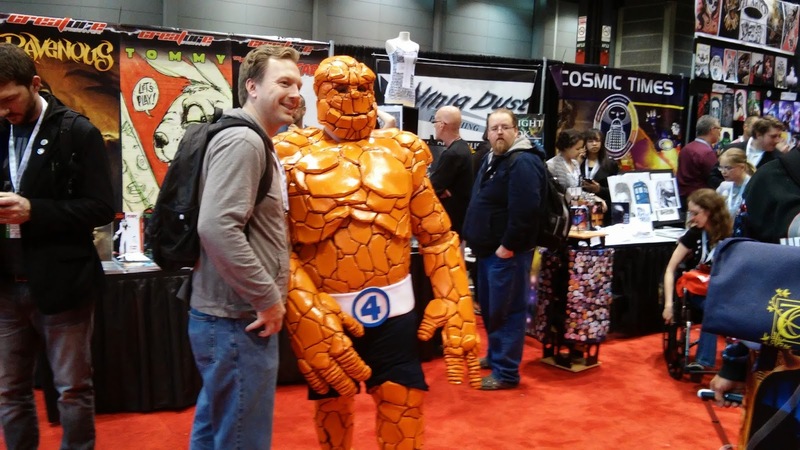 Sunday is the last day of 2015's C2E2. I am going to try and steal some time from Max Brooks and get in line early to listen to the irrepressible Stan Lee share his wisdom about life and comics. Random Stan Lee factoid: when Marvel went through bankruptcy the attorneys felt that Lee's salary of 1 million dollars a year was too exorbitant. Instead, Stan Lee was "forced" to accept 10 percent of Marvel's gross on comics and other products. Who is laughing all the way to the bank now? Comicbook conventions rule! The best day is Sunday. Vendors give away all there goods. Mmmmmm I love the smell of old newsprint! I didn't know it had changed. I guess a lot can change in 10 years. these are great pictures, it looks like you had a lot of fun. thanks for sharing! Was a good time. Any in particular your favorites? I have 2 great chats w. some kind folks I will post tomorrow. 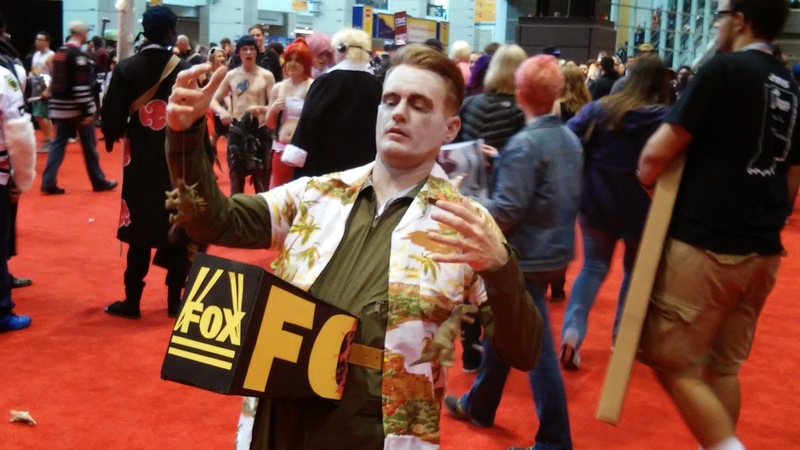 The Fox News zombie was great! He should be a guest on "fox and friends"
The first and last are my favorite, that Predator Minion and Fox News Zombie are really something else!